The Rickson Gracie Cup is officially scheduled to make its Scotland debut. The Cup will take place at the Emirates Arena in Glasgow, Scotland on July 7 and 8 this year. Saturday, July 7 will feature the kids’ tournament, a “Jiu-Jitsu for Life” workshop led by Steve Maxwell, and a three-hour seminar taught by Rickson Gracie himself. Sunday, July 8 will see the adult competition, plus a self-defense demonstration by Pedro Sauer and Luis Heredia. 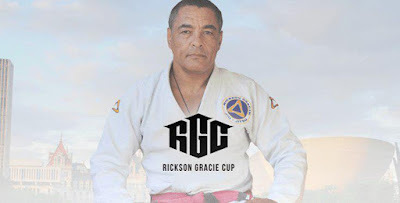 Rickson will also be hosting a free educational clinic for all the competitors. Scott McVeigh, the president of the Jiu-Jitsu Federation of Scotland, called the event “historic,” citing the Gracie family’s ancestral ties to Scotland.